There have been so many RAKs this week, I thought I would just post them all in one place! Here’s a RAK Roundup overflowing with thankfulness! 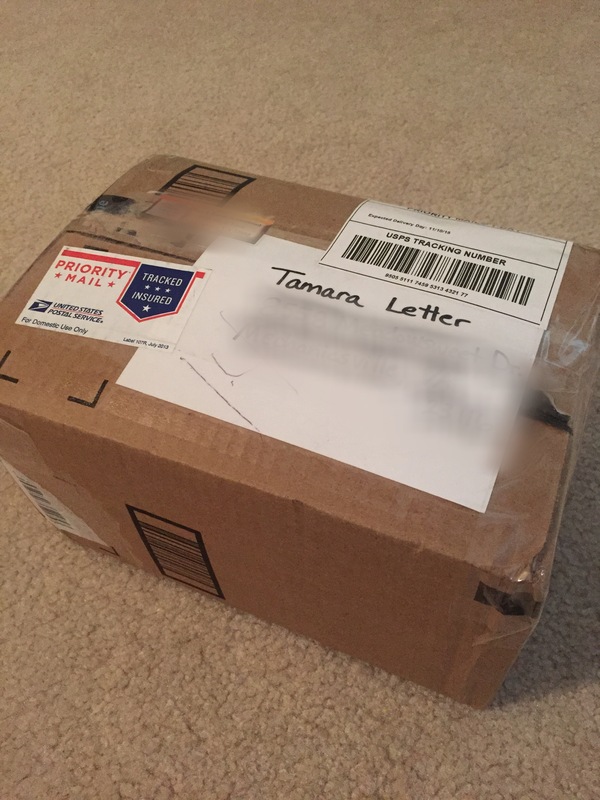 Last week a package arrived at my doorstep from my sweet friend, Sarah Armentrout, who lives 2 hours away. This was such a surprise! What on earth could she have sent me? I savored the moment of opening the box, even waiting a few days to enjoy the anticipation of revealing something unknown. 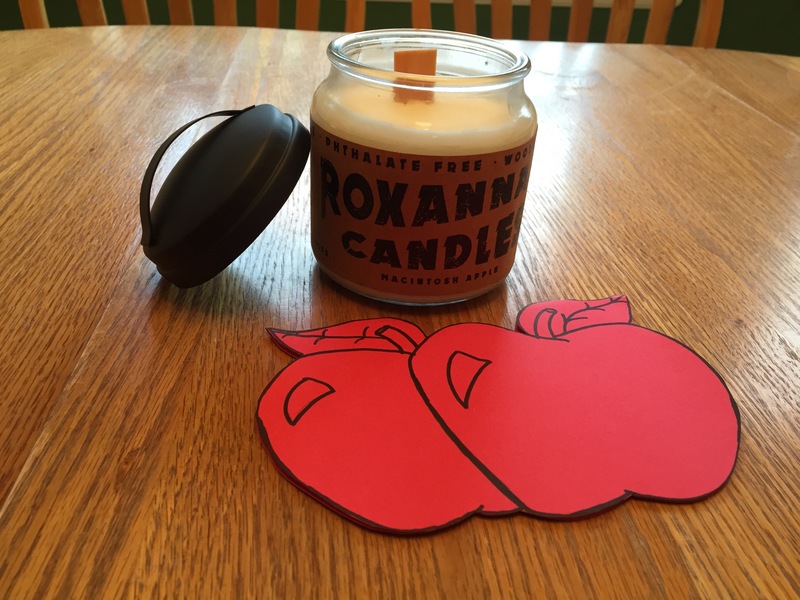 Oh, the delight when I saw what she gave me – a beautiful Macintosh Apple scented candle! In the enclosed note (shaped like two apples), she referenced a conversation we shared where I had discussed a recent apple picking trip that, alas, had no apples to pick. What a lovely, thoughtful gesture to brighten my day – now I can enjoy the scent of apples in my home leading all the way up to the holiday season! Joy! Her gift was also a great reminder of the power in listening and acting on the whisper of your heart. How many of you got “scammed” by the recent posts on Facebook asking you to send a gift of $10 or less to a stranger, then get 6 of your friends to do the same and you would receive 36 gifts in return? Anyone? A friend of mine posted this offer and I took it for exactly what it was – a gamble of kindness. I could either win big or end up $10 in the hole. Was it worth the risk? I decided to join in. After all, you’re talking to the gal who finds SO MUCH JOY in giving to others – in my mind, there was no risk at all! I received the name of the person I was asked to bless, and a few details about her. The main thing she mentioned was that she loved gift cards and her favorite color was purple. Purple. The color of orchids, lilacs and lavender. The color of my grandmother’s birthstone and my daughter’s class ring. The color of Renee’s casket. 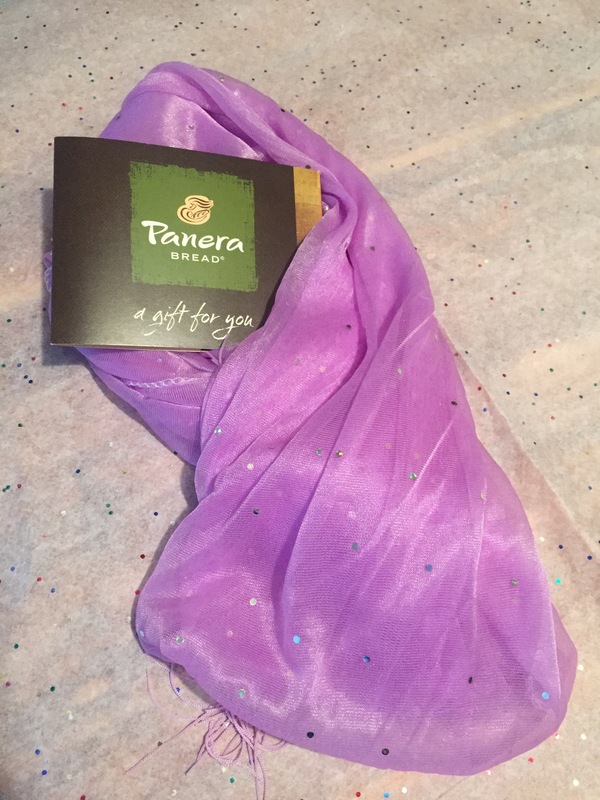 I purchased a beautiful purple scarf with a little bit of sparkle, in memory of Renee and my grandma. I also bought a Panera gift card, thinking of my daughter’s smile when we have our girl-time lunch dates. Then I wrapped the items in sparkle tissue paper and took the package to mail at the post office. Will I receive 36 gifts in return? Highly doubtful. I would be shocked to receive even three! But you know what? Here’s the deal: I didn’t join this Secret Santa exchange to get a bunch of stuff for free. I did it as a way to bless someone I didn’t know with the joy of a surprise. Ask any elementary teacher if they need classroom supplies and you will always hear a resounding, “YES!” Whether it’s post-it notes or glue sticks, teachers are always needing more. This week, I was collaborating with a fourth grade class when my Expo marker ran dry, right as I was listing the key components of a digital creation assignment. Without hesitation, the classroom teacher left the lab and returned with a metal pail filled with Expo markers. “Here! Have them!” she replied as she put the container on my desk. Wow! 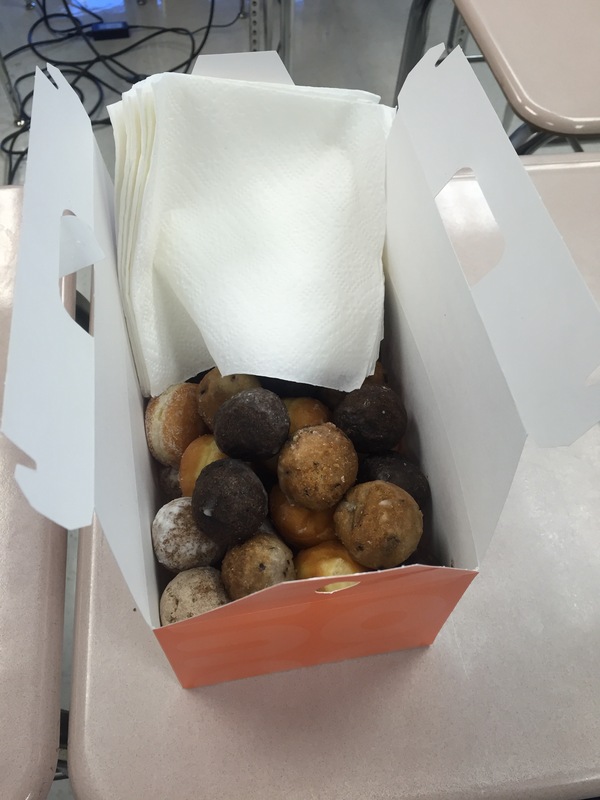 What a perfectly timed random act of kindness! Thanks so much, Krista Miller, for blessing our computer lab with new markers! 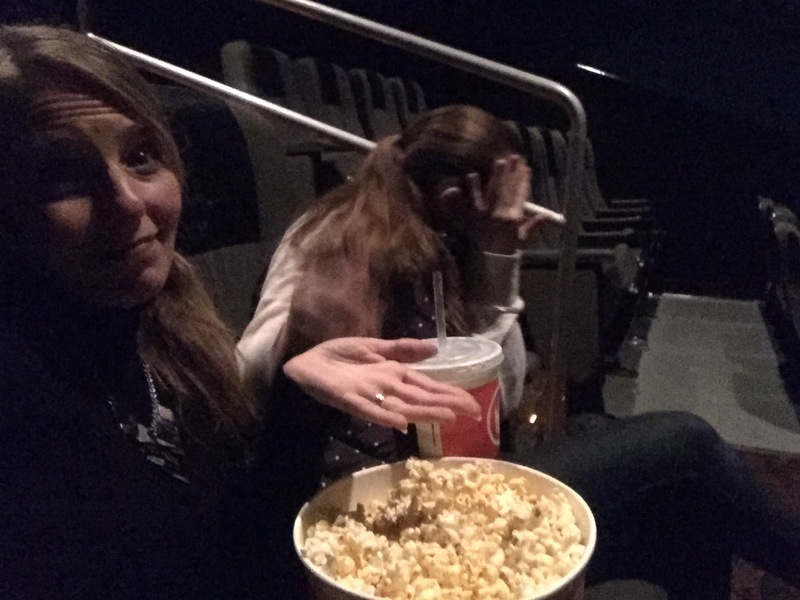 On Thursday night, my daughter and I went to see the latest Hunger Games movie, which has become a tradition for the past 4 years. The movie was great, even though my daughter refused to smile for a picture. As we began our journey home, we were suddenly rear-ended in a single line of traffic. Oh my goodness! Visibly shaken, my daughter and I pulled over and called 911 to assist. The man who hit us was very apologetic, checking to make sure we were OK. While waiting for the police to arrive and assess the damage, we chatted a bit and both were thankful the accident wasn’t worse. “Would it be OK if I gave you a hug?” he asked. It was a very sweet gesture in the midst of a not-so-pleasant car accident, and I was grateful for his kindness. When the officer arrived on the scene, he was also kind and compassionate, even letting me borrow his pen to fill out the paperwork. He called a tow truck for the man, whose vehicle was too damaged to drive. While no one ever wants to be involved in an accident, a hit-and-hug was much more enjoyable than a hit-and-run! Have I mentioned lately how much I admire my boss? She is always going out of her way to show kindness to our team, and today’s gesture of thoughtfulness was just what we needed to start our meeting with smiles and laughter. As I reflect on this past week with its highs and lows, I am blessed beyond measure that my path is sprinkled with kind people and warm hearts. While I can’t change the horror and violent destruction others experience daily (and I have no solution for the “big issues” of poverty and refugees), I can always take a moment to appreciate the good in this world and share how others have a positive impact on me. 2 Responses to "RAK Roundup "
love, love, love this and thank you for sharing! I was smiling the whole time I was reading! Your blog posts ALWAYS make my heart sing. I replied to the gift exchange but when I started hearing that it was a scam, admittedly I didn’t move forward with any action. THANK YOU for the reminder of the intent – to surprise a stranger with the gift of a surprise. I love it!